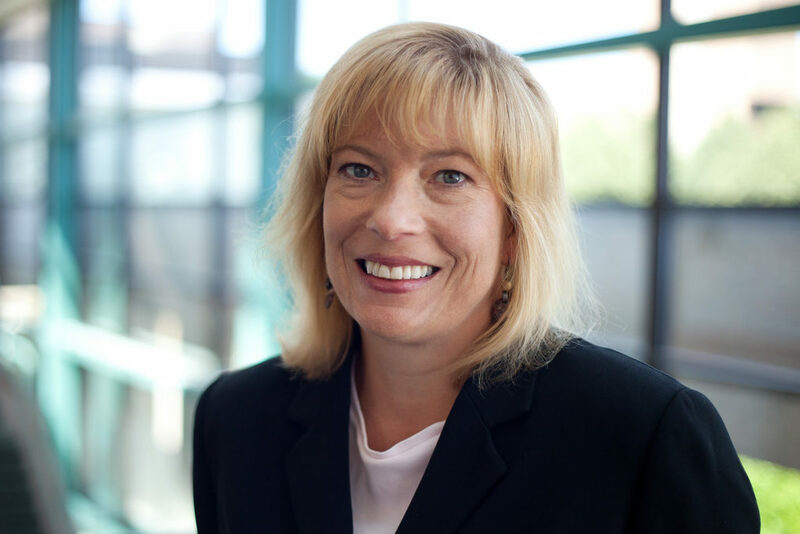 Dr. Ellen Arruda is the Maria Comninou Collegiate Professor of Mechanical Engineering with joint appointments as Professor of Biomedical Engineering, as well as Macromolecular Science and Engineering at the University of Michigan. She received her B.S. with Honors in Engineering Science and her M.S. in Engineering Mechanics from Pennsylvania State University. Ellen was awarded her Ph.D. in Mechanical Engineering from the Massachusetts Institute of Technology. She joined the faculty at the University of Michigan afterwards in 1992. Ellen has received numerous awards and honors for her outstanding research, teaching, and service, including the Ann Arbor Spark Best of Boot Camp award, the Excellence in Research Award from the American Orthopaedic Society for Sports Medicine, the Ted Kennedy Family Team Excellence Award from the University of Michigan College of Engineering, the Research Excellence Award from the College of Engineering at the University of Michigan, the Cadell Memorial Award, the Outstanding Engineering Alumnus Award from the Pennsylvania State University, the Distinguished Faculty Achievement Award from the University of Michigan, and the Trudy Huebner Service Excellence Award from the College of Engineering at the University of Michigan. Ellen is a Fellow of the American Society of Mechanical Engineers, the American Academy of Mechanics, and the Society of Engineering Science. She was also named a Centennial Fellow of the Department of Engineering Science and Mechanics at Pennsylvania State University. She was also recently named a Member of the National Academy of Engineering. Ellen joined us for an interview to discuss her experiences in her career, her life, and her engineering research. Ellen’s hobbies include running, cooking, and knitting. Running is one of her favorite ways to get exercise and generate great ideas for her work. She is a skilled sweater knitter who learned how to crochet from her mother and picked up knitting from her mother-in-law. Ellen studies the mechanical behavior of soft materials, including polymers, plastics, and soft tissues of the body. Her research group focuses on understanding how to design with soft materials so the materials don’t break in different applications, as well as how to design replacements for soft tissues in our bodies when they are damaged. Though she knew she wanted to go to college, Ellen wasn’t sure what she wanted to study once she got there. Her older sister was majoring in engineering, so she was aware that it was an option, but Ellen didn’t know much about what engineers did. As Ellen paged through the big blue book of all the majors at her university, the Engineering Science major caught her eye. With this major, she was exposed to a mixture of engineering disciplines which gave her a chance to figure out what she was most interested in. Ellen also had her first forays in conducting research, and she loved it. Once she realized she could have a career doing the research she liked, her decision was made. Ellen received the dreaded rejection letter the first time she submitted an NSF CAREER Award proposal. She took responsibility for the instances where the reviewers didn’t understand the importance of her work because she didn’t write it as clearly and concisely as she could have. In the reviewer feedback, it was also stated that she didn’t know much about engineering education principles. She saw the truth in this critique and quickly worked to remedy it. Her former PhD advisor gave her advice and a helpful book on engineering education. Armed with this new knowledge, Ellen modified her proposal, and the next submission was successful. For the past few years, Ellen’s research group has been working on designing a sports helmet that will do a better job of preventing or reducing brain injury than current helmets. This research project was selected as a finalist in a national competition called the Head Health Challenge. This was a big victory because it was the first time Ellen felt that their mechanics approach to the problem really resonated with people. She was able to help them understand that the research they were doing was important, and they could make a difference. The funding included with the award has allowed them to pursue the idea and the possibility of making a prototype of a new, safer helmet that may help many athletes. While she doesn’t have a favorite travel destination, Ellen loves going on adventures to new places, experiencing different cultures, and sampling cuisine from other places. She recently visited Hong Kong for the first time to attend a research conference. The conference was great, and she was able to use the break hours in the middle of the day to go on a boat tour, explore the city, and enjoy some phenomenal dim sum. While at Penn State for her undergraduate and master’s degrees, Ellen had a wonderful experience working in a research lab. They had a tradition of playing little tricks on their advisor, including replacing his standard white lab coat with a brightly colored tie dyed lab coat and programming his new computer to shout “yabba dabba doo!” in the voice of Fred Flintstone every time it was turned on. She maintains this sense of humor and camaraderie in her lab today. Ellen’s research group enjoys getting together for meetings, but they also meet up for excursions like bumper car basketball outside of work. It is important to recognize that engineering requires people with interests and capabilities that are much broader than what most people are told in high school. It’s not just about being good at math or physics because the field of engineering also needs people who think creatively, are collaborative, are enthusiastic about solving problems, and are passionate about making an impact. Even if no one has told you that you would make a great engineer, a career in engineering might be the perfect fit for you. It is important to find what you are passionate about and do what you love. Ellen teaches and conducts research in theoretical and experimental mechanics of macromolecular materials, including polymers, elastomers, composites, nanocomposites, soft tissues, and proteins. Her research also includes projects focused on tissue engineering of soft tissues (such as muscles, ligaments, and tendons) and their interfaces. Ellen is internationally recognized for her research in polymer and tissue mechanical behavior and application of these materials in commercial products. Research in Ellen’s lab includes the experimental characterization, and analytical and computational modeling of soft materials, including native and engineered tissues. Different projects examine models of soft tissue growth, remodeling and functional adaptation in soft tissue, soft tissue biomechanics, deformation mechanisms in polymers, crystal transformation mechanisms in semi-crystalline polymers, nanoscale design and manufacturing of nanocomposites, design of blast and impact resistant materials and structures, and experimental and analytical investigations of high strain rate response of polymers and polymer composites including crashworthiness in automotive applications.